This set of four coasters measure 4″X4″ in diameter and approximately .35″ thick. 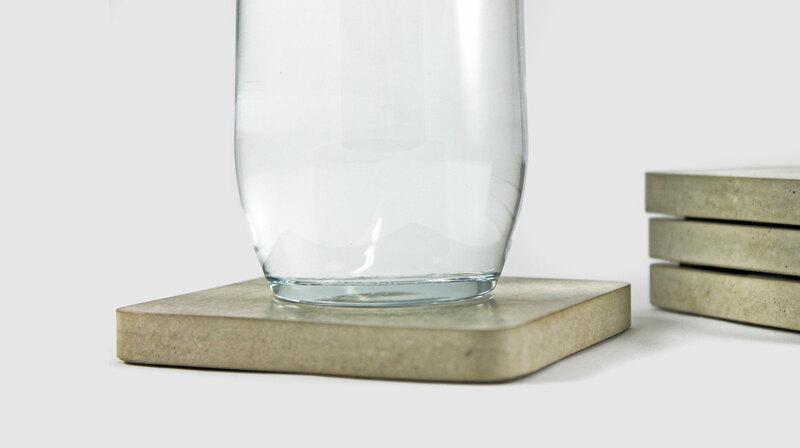 All coasters are backed with a cork bottom for added tabletop protection. Each unit is cast in a hand made mold for about a week. Each coaster is then burnished by hand and coated with FDA approved linseed oil. 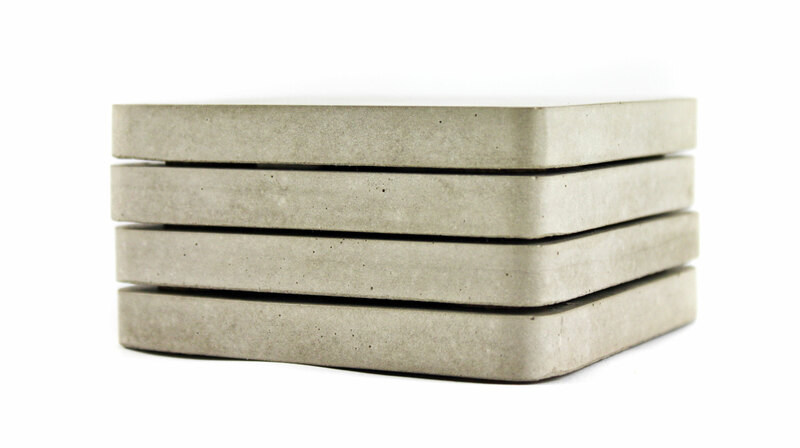 This item is not composed of typical concrete. It has taken years to perfect this advanced cementitious mix. It includes extremely small particulate, as well as recycled granite and marble dust, sourced locally from the countertop industry. The result is an incredibly strong, smooth, and tactile surface that is more similar in physical characteristics to ceramic or aluminum than it is to concrete! Although they are sealed to resist staining, they will develop character/patina over the years.